I recently got this little treasure on eBay, and I've been totally tripping on it. 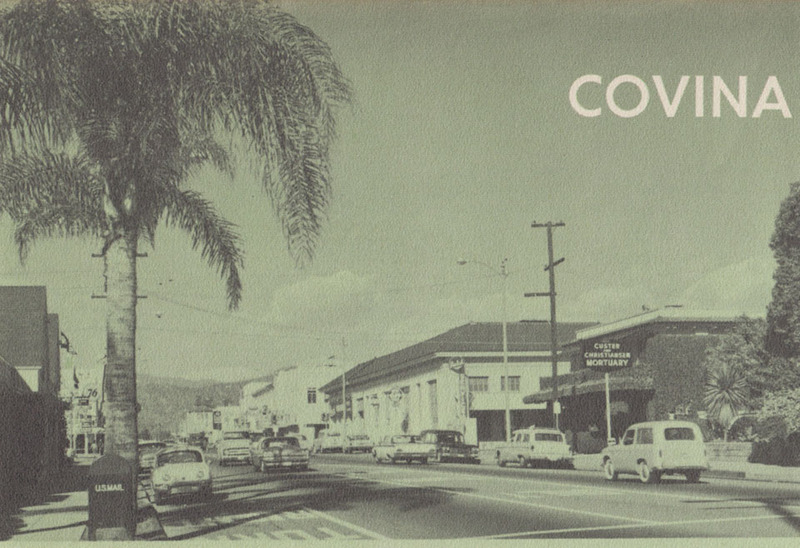 It's from my old home town in 1960. 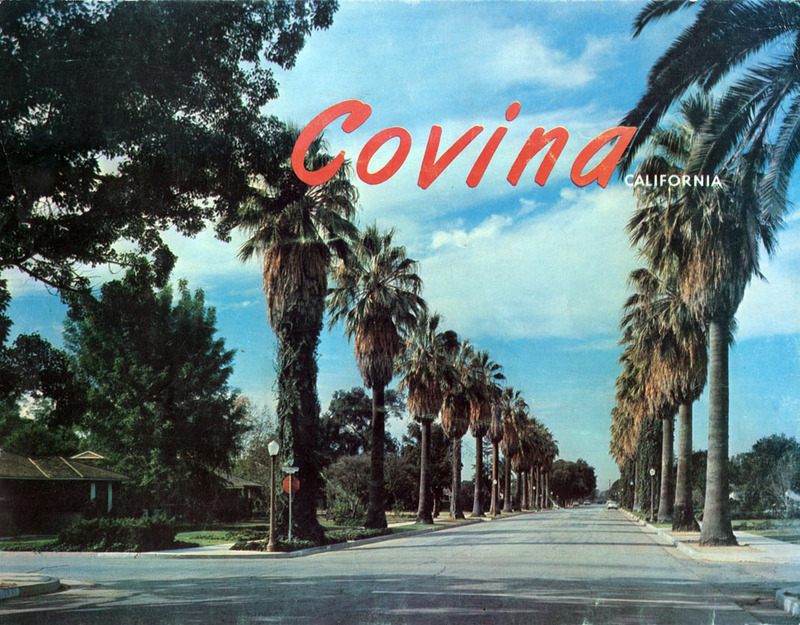 I was born in Covina in 1954, and my family moved there in December, 1959, so this pictorial brochure precisely depicts what my boyhood home looked like back when I first knew the place. It's really blown me away; these are truly images from a Lost World. Here are some that made a particular impression on me. The pamphlet is basically all about suburbia and the automobile. We're 50 years into the Car Culture era in Southern California now, and what follows are glimpses of what it looked like in its earliest incarnation.